There’s a man from Hamburg, Germany, who became “infected” with the Harley-Davidson virus when he was a teenager. Many bikers can identify with that sentiment. The “virus” can strike when you’re young and see a motorcycle for the first time, or later in life when you finally have enough money to buy your dream bike. For Uwe Ehinger, the sickness compelled him to search high and low—in junkyards, people’s garages, and anywhere else he could find lost motorcycles—for Harley castoffs. What others considered junk, he saw as treasure. He started collecting these “relics” and became a motorcycle archaeologist. And what did he do with these old Harley-Davidson parts that no one else wanted? He built his own bikes and custom bike shop, Ehinger Kraftrad. Then in summer 2017 he used them to make gin. And it’s not supermarket gin—it’s top-shelf liquor. Ehinger explains on his website, www.the-archaeologist. com, “Every time I make a find of rare bikes, I wonder how to use every single part–because they deserve to be preserved. That is where the idea for ‘The Archaeologist’ emerged: preserving the spirit of the old machines in an actual spirit and make it possible to experience the taste.” Heck, yeah! He offers three kinds of gin, lovingly named The Flathead, The Knucklehead and The Panhead. 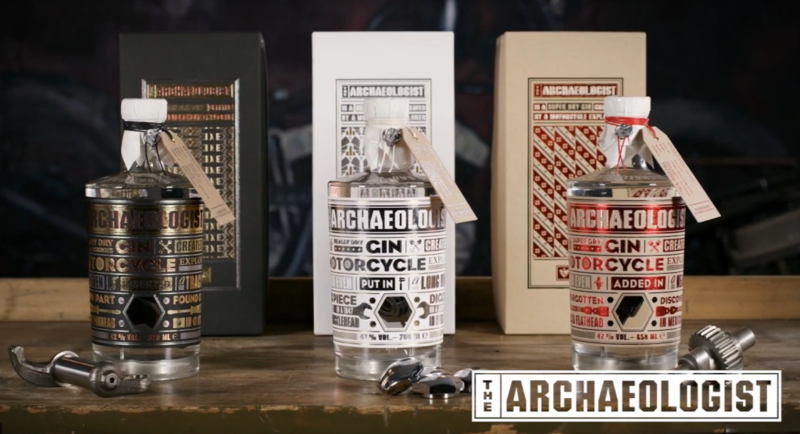 The premium dry gin contains actual engine parts from Harley-Davidsons. It is safe to drink because all of the parts are washed and sealed in a tin alloy. The gin contains camshafts from a 1939 Flathead, screw-nuts from a 1947 Knucklehead, and rocker arms from a 1962 Panhead. Even the labels have a vintage feel—they were printed on a 1931 Heidelberg Tiegel printing press. The bottles themselves are wrapped in paper that describes the origin of the bike parts inside. Ehinger’s obsession has taken him all the way to South America and South Korea to find motorcycles that need saving. He has been hunting them down for decades. In the 1980s, he scored several 1939 Flatheads while combing through a garage that stored decommissioned bikes formerly used by the Mexican military. While traveling through Santiago, Chile, he found a rare, blue 1947 HD FL. The coolest part? It was previously owned by a German pharmacist who used it to deliver his prescriptions. In South Korea, he found a meticulously organized motorcycle graveyard filled with unwanted bikes, including a 1962 Panhead. The price of the gin is a little steep. Bottles cost between $1,000 and $1,280. The gin is so popular, the limited run sold out online within hours of its release. If you’re still interested, the company is taking advance orders for the next edition. Jeans are always in fashion, and vintage ones can be worth a lot of money. A pair of 125-year-old Levi Strauss & Co. blue jeans recently sold at auction in Maine for nearly $100,000 US. An anonymous bidder from Southeast Asia bought the pants, which failed to sell at auction in 2016. The sale was nearly a record for old Levi’s. What type of person would spend that kind of money on fashion? 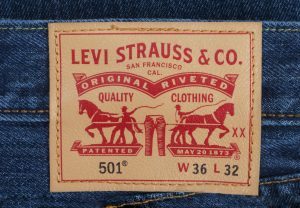 “It’s somebody who loves old Levi’s,” Daniel Buck Soules from Daniel Buck Auctions told the AP. Buck worked at public television’s Antiques Roadshow for 11 years. Because it was a private sale, Soules was unable to reveal the exact price of the jeans or where the buyer lives. A representative for the buyer travelled to Maine to inspect the merchandise before purchasing them on May 15. The jeans have a somewhat interesting story attached to them. Storekeeper Solomon Warner from the Arizona Territory purchased them in 1893. Described as a “colourful character,” Warner was shot by Apache Indians in 1870. He was one of the first Americans to sell dry goods in Tucson. A mill in New Hampshire produced the denim, and Levi’s in San Francisco, Calif., manufactured the jeans, which are button fly. During that time, jeans only had a single back pocket. Men wore suspenders, so there are no belt loops on the jeans. Warner was apparently a big guy. The jeans are size 44 waist with a 36-inch inseam. He only wore them a few times because he got sick, said Soules. They were stored for decades in a trunk and were in extremely good condition prior to the sale. Soules initially put the jeans up for auction two years ago, but it was cancelled due to a computer issue that caused problems with online bidding. The seller decided to do a private sale instead. Rare jeans are popular at auction, according to Soules. A Japanese collector bought a pair of 501 jeans from the 1880s for $60,000. Still another pair from 1888 sold for six figures. The positive public relations related to the sale must be a welcome relief to the company. Earlier in May, the environmental activist group Stand.earth released the critical report “Too Deadly To Wear: Levi’s Pollution, the Booming Fashion Industry and Its Role in Deaths from Air Pollution and Climate Change.” The report claims Levi’s plants pollute as much as 1.1 million cars annually. A company in France is providing wi-fi through lighting. Philips Lighting has introduced Light Fidelity (LiFi), which uses light waves to deliver a broadband internet connection. Philips is the first lighting company in the world to offer LiFi through its current lineup of products. “LiFi has enormous potential for today’s digital age and as the world’s leading lighting company we are proud to pioneer new and innovative services for our customers,” said Olivia Qiu, Chief Innovation Officer, Philips Lighting, in a press release. 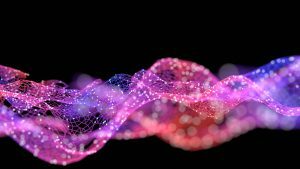 “While radio frequencies are becoming congested, the visible light spectrum is an untapped resource with a large bandwidth suitable for the stable simultaneous connection of a vast array of IOT devices. Being a lighting company, we ensure that our customers benefit from the finest quality energy efficient light along with state-of-the-art connectivity,” she added. LiFi uses light waves instead of radio waves to transmit data. Philips Lighting’s broadband connection provides a speed of 30 Mb per second (Mb/s) while ensuring the integrity of the lighting itself. LiFi users can stream multiple HD quality videos at once while participating in video calls. French real estate company Icade is the first to incorporate LiFi in its offices in La Devense. “LiFi has the potential to be a real game-changer in offices. As the leader in our market we wanted to explore the possibilities of this technology for existing and future clients,” said Emmanuelle Baboulin, head of the Commercial Property Investment Division at Icade. Why would a business choose LiFi over wi-fi? In some spots, such as hospitals, radio frequencies interfere with equipment. Wi-fi signals may also be sluggish underground, so LiFi is a good alternative. In addition, LiFi provides more security than wi-fi as it cannot pass through solid walls, making it beneficial for the government or financial institutions. Many people enjoy signing their names on things to leave their mark. Nearly 100 years ago, Ivan Pavlov autographed a piece of steak using an electrical knife. 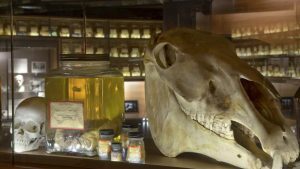 That chunk of beef and other unusual items can be seen, basking in formaldehyde, at the Yale School of Medicine. The Russian physiologist and Nobel prize winner, known for his study of dogs and the concept of the conditioned reflex, signed the piece of meat after observing the father of neurosurgery, Harvey Cushing, perform an operation in the 1920s. Cushing was demonstrating the use of a new instrument, a Bovie knife, which he used to cauterize and cut brain tissue to reduce bleeding (a major cause of death at that time). Pavlov played with the electrical knife for a little bit, used it to sign the steak, and then gave it back to the surgeon. “Of course, Cushing as a collector put it in a jar,” Dagradi explained. Cushing’s obsession with preservation and documentation is why people can still see Pavlov’s steak today. Cushing started collecting brains, tumors, and other items related to his work in 1902. The Cushing Center at Yale University in New Haven, Conn., contains thousands of neurological case studies and over 15,000 photographic negatives from the late 1800s to 1936. Retaining the specimens and tumors helped Cushing understand disease and the structure of the brain. He often asked patients to donate their brains so he could learn more about them and the pathology that affected them. Eventually, the brains in the pathology department were taking up too much space and were nearly thrown out. Fortunately, someone decided to store them in a subbasement at the Yale Medical School where they remained for several years. In the early 1990s, medical students rediscovered them and it became a rite of passage to take a look at them. The specimens were eventually brought out into the open for people to look at in what became the Cushing Center. Visitors are fascinated by the jars, which contain different colored solutions. How long are the brains and tumors expected to stay intact in their little bottles of formaldehyde? “Some of these brains are already 100 years old. He started preserving tumors and brains around 1902. I’m hoping with us watching them and now that they’re in a much safer environment for preservation, indefinitely,” she explained. Another remarkable thing in the collection are the eerie photographs of Cushing’s patients. “Often they’re pretty stark portraits or closeups of scars or that sort of thing. But they also have a sort of poignancy and connection to the fact that the specimens, the brains, used to be in people—the people he tried so hard to save. They are also just a beautiful sort of accidental archive that really enriches the collection itself,” Dagradi pointed out. One thing the center features that’s not related to Cushing is a 3D model of the skull of one of the first patients to survive a traumatic brain injury: Phineas Gage. He was a railroad construction foreman who survived after an iron rod went through his skull in 1848. “It went through his left frontal lobe. This gentle, well-mannered, logical young foreman turned into a rowdy, swearing, bawdy drunk. He’s sort of ground zero of traumatic brain injury science,” Dagradi said. The model and an accompanying book is used as an educational tool for New Haven school children that teaches them the connection between neurosurgery and science. Cushing was also a collector of rare books, many of which are rotated for visitors to see. The current exhibition is on Alchemy. Previous themes have included anatomy and mathematics. Cushing collected tomes by Nicolaus Copernicus, Issac Newton and Galileo as well as beautiful Persian books. The Cushing Center is open to public most days from 10 a.m. to 8 p.m. Weekly tours are also available. Researchers found what is known as the Hypatia stone in Egypt in 2013. They determined that the small pebble is extraterrestrial in origin. 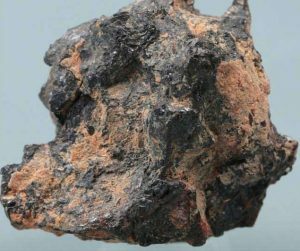 What’s fascinating is that the stone contains micro-mineral compounds that aren’t known to occur anywhere on Earth, in other meteorites, or anywhere in the solar system, reports Science Alert. The stone was named after scientist Hypatia of Alexandria. Some think the diamond-filled pebble might be part of a comet nucleus, while others believe it could have formed from a cold molecular cloud. According to researchers from the University of Johannesburg, the stone’s lack of silicate matter makes it unique among the interplanetary material that has made its way to Earth. In addition, it contains minerals that appear to predate the sun. The Hypatia stone is just one tiny piece from the original “fruitcake,” which is believed to be several meters in size. The stone has a lot of carbon and small amounts of silicon, which is different from non-metallic meteorites called chondrites that are similar to Earth. What’s also intriguing is the PAH in the pebble transformed into tiny diamonds, likely upon impact with Earth. The diamonds enabled the stone to survive to its present form. While Hypatia’s compounds likely predate the sun, researchers believe the pebble itself was formed after the sun. “Hypatia was formed in a cold environment, probably at temperatures below that of liquid nitrogen on Earth (-196 Celsius). In our solar system, it would have been way further out than the asteroid belt between Mars and Jupiter, where most meteorites come from. “Comets come mainly from the Kuiper Belt, beyond the orbit of Neptune and about 40 times as far away from the sun as we are. Some come from the Oort Cloud, even further out. The coldest place on earth is experiencing near-record low temperatures that are making life brutal for many residents. 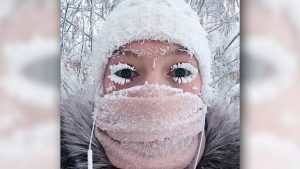 Earlier this week, people in the Russian region of Yakutia endured temperature drops of minus 67 degrees Celsius (minus 88.6 degrees Fahrenheit) in certain spots. The region is known for its severe and extreme climate, so the nearly 1 million people who live there are used to harsh weather conditions. As such, the cold temperatures didn’t even make local media headlines. Located about 3,300 miles east of Moscow, Yakutia was so cold that school was cancelled. This is a rarity because it’s common for kids to attend classes when temps are minus 40 degrees. However, temperatures reached such dangerous levels that police mandated parents keep their children home, reported Time. Two men froze to death after their car broke down and they attempted to seek shelter and help at a nearby farm. Three of their companions survived because they had on warmer clothing. The town of Oymyakon is one of the earth’s coldest inhabited places, and a television station showed the mercury falling so low it couldn’t measure the accurate temperature on the thermometer (which only goes to minus 50). The town experienced an all-time low in 2013 with minus 71 degrees Celsius (minus 98 Fahrenheit). Photos from the area have been making the rounds in the news and social media. Some brave Chinese students were pictured taking a dip in a thermal spring, while photos of women with frozen eyelashes also dominated news feeds. In winter, Yakutians subside on primarily a meat-based diet, including items such as raw fish, reindeer meat, horse liver, and ice cubes of horse blood. Most homes use outhouses because the ground is too frozen to accommodate pipes. Those who work outside do so in 20-minute shifts. Homes and businesses use central heating and have backup power generators in order to stay warm. 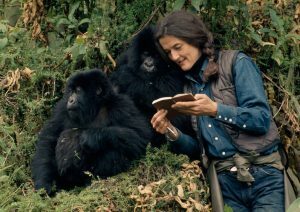 Dian Fossey produced unparalleled research about mountain gorillas during the 18 years she spent studying them in the mountain forests of Rwanda. It’s been 32 years since her brutal murder, and National Geographic is detailing the life and legacy of the legendary primatologist in a three-part miniseries airing in December. “Dian Fossey: Secrets in The Mist” includes Fossey’s observations and writings and demonstrates how her love for gorillas prompted her to devote her life to their preservation. Her drive to protect them likely caused her untimely death in 1985. Yet, there are still so many questions about her murder. “Secrets in The Mist” delves into Fossey’s death and the conviction of Wayne McGuire, a doctoral student who worked with Fossey in Rwanda. Following her murder, Maguire returned to the United States where there was no extradition agreement between the two countries. He was found guilty in absentia by Rwanda courts. McGuire has long maintained his innocence, and many with intimate knowledge of Fossey’s fate are skeptical about his role in the crime. McGuire gives a rare interview to National Geographic, prompting even more questions about his role in her murder. Producers were also given access to objects from the scene of the crime as well as Fossey’s personal affects. 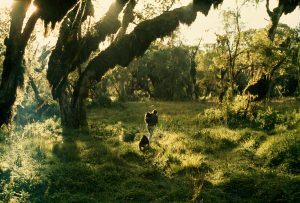 Sigourney Weaver, who portrayed Fossey in the 1988 Academy Award-nominated film “Gorillas in the Mist,” collaborated on the miniseries. Director, producer, and writer James Marsh (“Man on a Wire,” “Theory of Everything”) is executive producer. “Dian Fossey: Secrets in the Mist” airs Wednesday, Dec. 6 at 9/8 central on National Geographic. Billionaire and inventor Elon Musk announced on Friday that he’s determined to send cargo ships to Mars by 2022 and a colony of people to the planet by 2024. A smaller version of the interplanetary transport system, which Musk has dubbed BFR (Big F- -king Rocket), would be used to boost travel on Earth and help pay for the Mars mission. SpaceX has already started working on the project, and the company expects to start building the first ship in the next six to nine months. Musk is “fairly confident” that the ship will be complete and ready to launch in approximately five years. He hopes to send two cargo ships to Mars by 2022 with the goal of locating a water source. Rockets would drop off equipment and life-support systems on the planet to enable future colonizers to live there. In 2024, four ships would bring people and supplies to Mars for habitation. The BFR will hold about 100 passengers and include 40 cabins as well as communal spaces. The voyage is expected to take three to six months, but that’s open to debate. Musk also revealed plans for developing rockets that will transport people between Earth’s largest cities in just minutes. For example, a trip from New York City to Shanghai would take less than 40 minutes. The flight currently takes passengers 15 hours. This system, in turn, would help pay for future missions to Mars. Musk plans on funding the missions by using the BFR for several functions, including launching satellites and servicing the International Space Station for NASA. That will allow SpaceX to focus on one spacecraft to perform various tasks instead of several. He did not disclose how much money would be spent on developing the rocket or the price of the tickets to ride it. 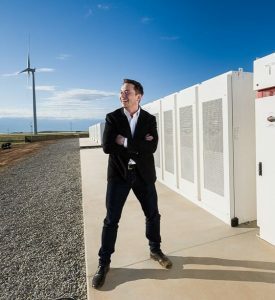 Last year, Musk described a rocket system that would cost $200,000 per ticket. SpaceX has successfully launched 13 missions this year so far, more than any of its rivals. Musk’s plans to colonize Mars are ambitious, and many are skeptical that he will be able to follow through with the timeline he’s proposed. 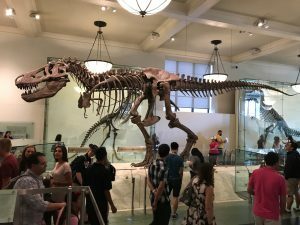 Most people agree that the American Museum of Natural History (AMNH) in Manhattan’s Upper West Side is a great place to spend the day. First, there are dinosaurs. But it also features a neat mummies exhibit and includes the Hayden planetarium. But did you know that there’s a pretty neat offbeat way to explore the space? Enter Museum Hack. The group leads what they call “unconventional tours” of some of the world’s most interesting museums. They fill you in on bizarre facts and morsels of adult-focused content you wouldn’t learn about during a regular museum visit. I recently took part in Museum Hack’s AMNH “Un-Highlights Tour,” and it was highly entertaining and definitely unconventional. The tour took place on a Sunday afternoon during a particularly busy day at the museum. Five of us were instructed to meet our guide, Dustin Growick, in the lobby by the tail of the Barosaurus. After a quick introduction, we were asked to name any animal we could think of that we’d like to see that day. I chose an aardvark (and Dustin eventually delivered an anteater, which I deemed close enough). We also pumped our hands together in solidarity and shouted “Mu-seum!” before starting our adventure. We began our tour in the Akeley Hall of African Mammals, which includes 28 dioramas. We only had two hours to spare, so our time there was brief. However, Dustin clued us in to many unusual facts about the making of the dioramas and the history behind explorer/taxidermist/all-around badass Carl Akeley, the hall’s namesake. I don’t want to spoil the tour for anyone interested in taking it, but it’s safe to say I had no idea real animal poop was on display at the AMNH. When you visit a museum, it’s impossible to see everything and read every description. So, it’s good to have a guide point to things you might miss. While you can’t miss the slab from a giant sequoia on display in the Hall of North American Forests, you may not know who cut it down or why. If you take the tour, you’ll get the answers. 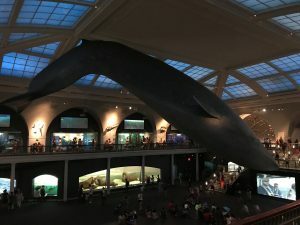 While it was the AMNH “Un-Highlights” tour, you still get to see some of the things that the museum is known for, including the model of the giant blue whale that hangs in the Milstein Hall of Ocean Life. But unless you dig deep, you won’t learn about the pranks involved in its display or that the whale has a bellybutton. There are some things the museum doesn’t want the average visitor to know, but that didn’t stop Dustin from telling us about one of greatest thefts that occurred there or how rodents have caused problems with several of the exhibits over the years. We also got some behind-the-scenes info about the installation of the Cape York Meteorite, which is 4.5 billion years old and weighs 34 tons. Museum Hack’s AMNH “Un-Highlights Tour” also included time in the Koch Dinosaur Wing, where we played a game, got our pictures taken, and received some treats from our guide. The tour was geared towards adults (and you have to take it to find out why), but there’s a family friendly version too. At $59 it’s worth the money, particularly if you leave time to explore things you may have missed during the tour itself.